Physics is the study of matter and energy and the number one reason to learn math! This physics word search contains 30 physics related glossary terms. 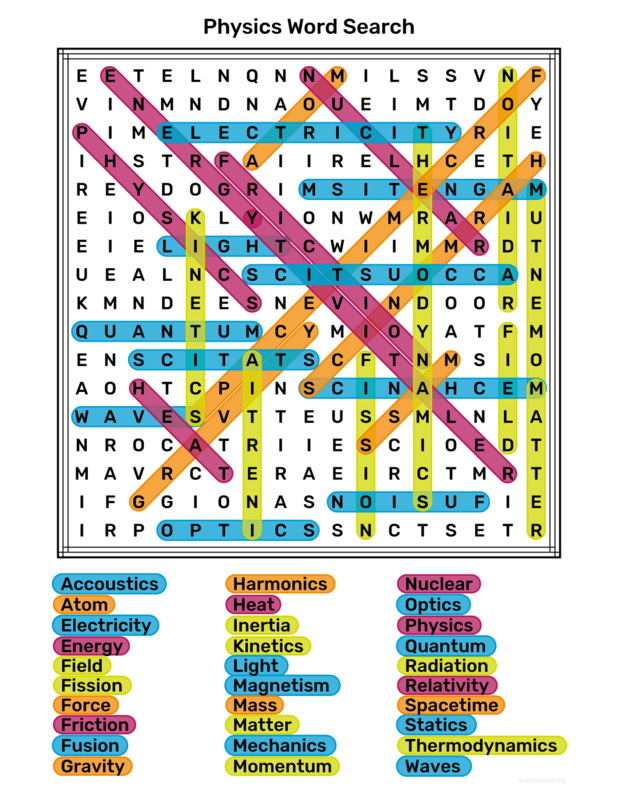 These physics glossary terms can be found vertically, horizontally, and diagonally both forward and backward. The puzzle is designed to fit on a single 8 1/2″ x 11″ sheet of paper, but scales nicely to A4 paper. For best printing results, use the PDF from the link below. Sometimes, finding a word in a word search can prove difficult. 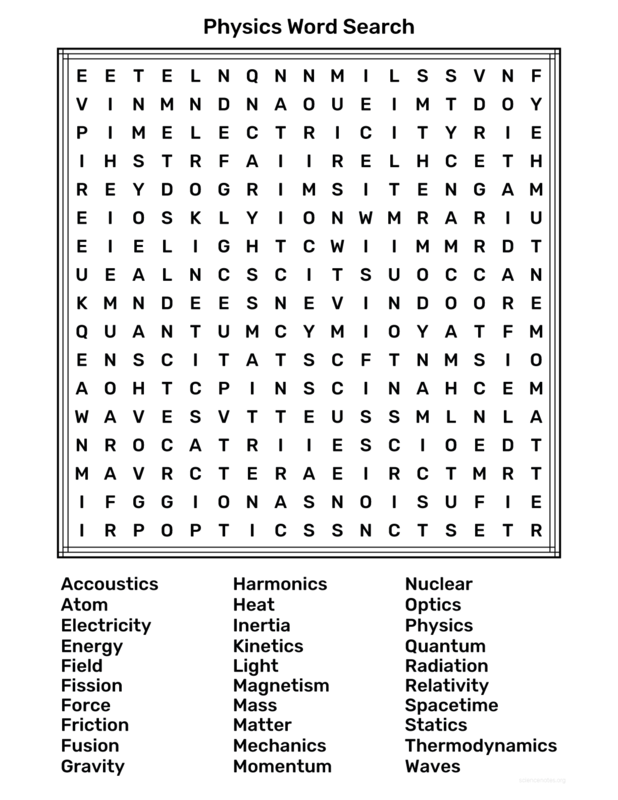 Save yourself the trouble by checking out a completed version of the Physics Word Search. The solution is color coded by direction to make finding the term faster. Click the links below for your prefered method of viewing the solution. ← Are Icebergs Made of Freshwater or Saltwater?